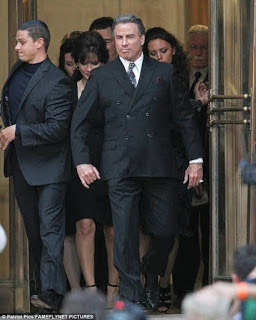 Few days before the John Gotti biopic, Gotti, was set to be released, Lions gate Premiere reportedly sold the movie back to its production company, Emmett/Furla/Oasis. 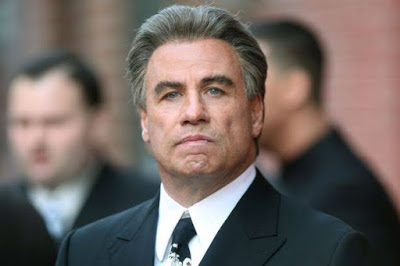 However, the film’s star John Travolta, isn’t happy that the news makes it sound like the film was cut. He says that he actually worked on getting a bigger producer to buy the film — and it worked. “Unfortunately, the reports were speculation bordering on fake news,” the actor told Deadline. “Lionsgate was planning on a minimal release, and I did an investigation into people who might have the interest and financial wherewithal to better release it. Ed [Walson] is a fan of mine and of the Gotti story and really wanted to see the movie. I invited his group, they saw it and bought it. That is the simple explanation for this. It wasn’t dropped. It wasn’t easy to get Lionsgate to give it up.” Travolta then revealed that Lions gate said “no” twice but eventually let it go after he begged them. “We signed this deal about three weeks ago, to purchase back the film from Lions gate. Our mistake was we should have said something right then and discussed our plan for the film. We didn’t anticipate this speculation that is so grossly wrong,” he told the outlet. "Gotti was originally set to be released on December 15"